“Just like money, there is a time value of work. Hard work, done early in your career, will pay massive dividends over time.” Ultimately time is our most valuable resource and how you leverage your time is critical. When I was starting out at Andersen Consulting (now Accenture) I wanted to make a big impact and gain control over the types of work and assignments I was able to do. So I hunkered down and asked to take on the assignments and projects that no one else wanted and just did it. Exceeding expectations on my work plus taking on extra work differentiated me from my peers. I was promoted faster and I earned the right to build mentor relationships with folks much more senior than I was. If you have the ambition to take on increasing responsibility, let that be known to your managers. Be ready to work hard, perhaps harder than your peers, and through your hard work you will differentiate yourself and ultimately earn yourself the experience and “right” to take on increasing levels of scope, responsibility and ultimately earnings. The faster your rise up, the faster you can earn more, the faster you can save more and control your destiny. Whether that is to have the savings to start your own business, or the savings that give you the foundation to take more risks in your career. I had the pleasure of interviewing Heather Brunner, CEO of WP Engine in Austin, Texas. As Chairwoman and CEO, Heather Brunner has steered WP Engine to hyper-growth and global expansion with offices in Austin, San Antonio, San Francisco, London, Limerick and Brisbane serving 80,000 customers in over 135 countries. A 28-year technology veteran, Heather helped create billions in value, drove customer success and led business strategy for both privately-funded new ventures and Fortune 500 companies. 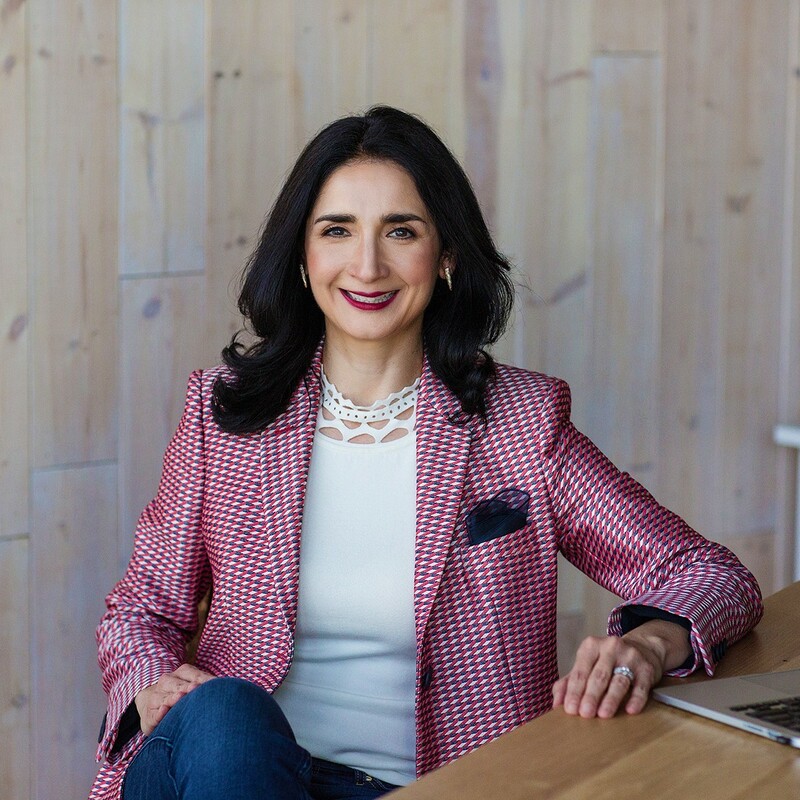 Recently, under Heather’s leadership, WP Engine raised $250M in funding from Silver Lake, — the biggest infusion in a decade for an Austin-based startup and the third largest funding round for a female CEO or founder ever, anywhere. I credit my father, who worked in the energy industry in Houston, for first introducing me to the business world. As a kid, I was always very fascinated by what he did. I would go to work with him a lot, particularly in the summers. So growing up, I was exposed to offices and work environments, and because he was involved in the energy sector we always had discussions about things that were happening internationally because he would travel all over the world. So, I knew early on I wanted to do something related to business or world trade. Those things were very interesting to me. So, when it came time for me to attend college, as a fifth-generation Texan, I chose to stay close to home and study at Trinity University in San Antonio. My international discussions with my father led me to pursue international economics as my major because it blended that interest with a few others. International economics is a very interesting discipline. I was always fairly numbers-oriented and business-oriented, but also liked some of the more liberal-arts topics such as psychology and history, so economics was a good fit for me. This set me off on my path first working in consulting at Andersen Consulting (now Accenture) and then ultimately in my career as an executive. One of the things that defines WP Engine is our sense of humor. We look to bring this out across our brand, in our customer communications, in our social and even in the internal events at the company. Twice a year we hold our “All Hands” where the entire company, over 500 people, convene for a week of meetings, strategy sessions, bonding and fun. The highlight of the week is our All Hands Party which kicks off with our senior executive team getting on stage, lip syncing and dancing in costume, in front of the entire company. Our most recent one, last fall, was one of the funniest yet — themed to Weird Science — where the execs dressed up as scientists and danced to Oingo Boingo’s famous tune. Needless to say — no one will be making an appearance on Dancing With The Stars anytime soon! Companies are a collection of people. If you think about a startup, when you have 10 people in a room all together, it’s really easy to communicate with each other, and usually at that stage you are very like-minded. But as you continue to grow, if you don’t codify your core values, then it’s difficult for that culture to scale. Codifying your core values allows you to declare, ‘This is who we are and this is what’s important to us.’ In essence, your culture is your core values in action. I personally present the history and the meaning of our core values to every new employee as part of their onboarding. This allows me to share why they are important and the vital role each of us have in feeding and protecting our cultural flame. Rapid growth can have detrimental effects on company culture, but despite global expansion to locations in San Antonio; San Francisco; Limerick, Ireland; London, England and Brisbane, Australia, WP Engine remains a strong, respected place to work because we’re faithful to our values. The company has been named to Fortune’s lists of top places to work for millenials (twice), top medium sized workplaces, and top places to work in technology. To make WP Engine a great place to build a career, I focus on creating a company culture in which our employees can be their true, authentic selves while at work in a culture that fosters an energetic and creative environment. When you’re at work, it is normal to have to put up a little bit of a guard. I’ve been in environments where there was fear and judgment, or it was very hierarchical. Our aspiration is that when you join the company, as quickly as possible we get you to that place where you feel as comfortable and at ease here as you do at home. We think that brings out your best authentic self, and when you’re there, you are your most creative. You’re putting your energy towards what’s at hand versus thinking about whether you’re going to get your hand slapped. If information flows freely and equally, it lets everyone participate in the creativity of the business. A high level of investment in employees and transparency leads to better employee performance and better business results. I’m fond of saying the phrase “diversity attracts diversity,” meaning that as a company naturally attracts and retains diverse talent, that diversity is sustained from the inside by employee referrals. It’s a strategy that works. Forty percent of WP Engine’s employees have been referred by current team members. And that diversity is highly advantageous. With more than 80,000 customers in more than 135 countries, WP Engine’s customer base is extremely global. When you can reflect your customers, you’re much more relatable as a company. In general, I think people prefer to associate with brands who care about people, treat their employees well and give them opportunities to grow their career. Working with such a diverse team is something I think our customers appreciate and value. My constant advice to anyone in business is to encourage them to get to know their hero customer. Your product can probably serve a multitude of different personas, but pick one and go talk to them. This applies to all levels of an organization. Find out who your customer is, what their life is like, what problems they have and how your idea will help them. It’s a huge mistake and a missed opportunity if you don’t do this. The heavy lifting of identifying your hero customer is one of the most important things you will do as an entrepreneur, an executive or an employee. 3) Am I having fun? 4) Does my manager have my back? 5) Do I have a plan for the future? As managers, we need to create authentic and genuine discussions with our team members that challenge and inspire them to reach their full potential. Based on your personal experience, what are the “3 Things You Need To Know To Successfully Manage a Team”. In my experience, you must know and communicate three key things to lead and inspire a successful team: Vision, Values and Victory. Vision — High performing teams want to know your vision for the future, what success looks like when you get there, why it matters and what is the purpose behind all the effort that is driving your business. Having that clear sense of vision creates that North Star that rallies your team together. Victory — Just as you need a strong vision to lead you and core values to get you there, you also need to know what success looks like. How do you measure success? When you succeed in helping your customers, how will you celebrate in a way that highlights your vision and values? At WP Engine every employee is an owner; every employee has options in the company. That’s why I’m such an advocate for and why we practice open-book management. We hold weekly town hall meetings to talk about the good and the bad details of how the company is faring. This constant, face-to-face communication (even our offices overseas are dialed in by video) connects everyone to the “why” and propels everyone to act and understand why we’re doing what we’re doing. All of WP Engine employees learn how to read the key KPIs (key performance indicators) of our business and we openly share our results each month. Knowing how we’re doing gets everyone feeling invested in business performance. By understanding their role in those indicators, employees can better grasp how their individual impact affects the larger WP Engine business. Ultimately time is our most valuable resource and how you leverage your time is critical. When I was starting out at Andersen Consulting (now Accenture) I wanted to make a big impact and gain control over the types of work and assignments I was able to do. So I hunkered down and asked to take on the assignments and projects that no one else wanted and just did it. Exceeding expectations on my work plus taking on extra work differentiated me from my peers. I was promoted faster and I earned the right to build mentor relationships with folks much more senior than I was. If you have the ambition to take on increasing responsibility, let that be known to your managers. Be ready to work hard, perhaps harder than your peers, and through your hard work you will differentiate yourself and ultimately earn yourself the experience and “right” to take on increasing levels of scope, responsibility and ultimately earnings. The faster your rise up, the faster you can earn more, the faster you can save more and control your destiny. Whether that is to have the savings to start your own business, or the savings that give you the foundation to take more risks in your career.